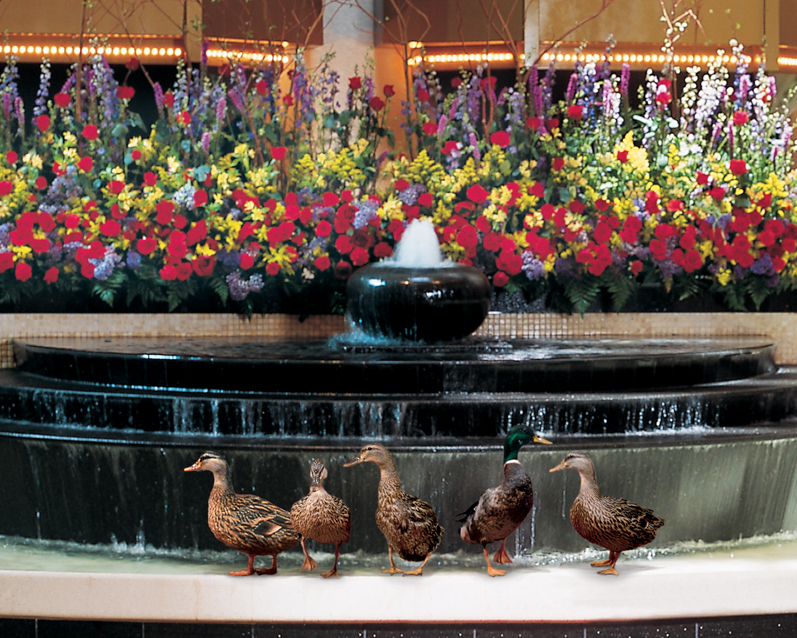 If you’ve ever traveled to Memphis, Tennessee, chances are good that you visited the Peabody Hotel lobby to see the world-famous mallards march down the red carpet. 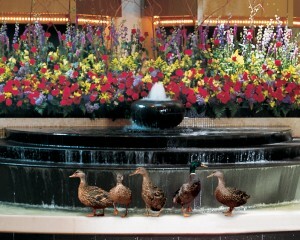 It’s a time-honored tradition that dates back to the 1930s when a couple of hunters from Arkansas decided it would be funny to put some live ducks in the hotel’s indoor fountain. The famous Peabody Marching Mallards have appeared on The Tonight Show, Sesame Street, The Oprah Winfrey Show, in People magazine and even graced the pages of the Sports Illustrated Swimsuit Issue. If you read the Peabody’s website, you’ll find that those lucky ducks are raised by a local farmer who loans them to the hotel. What you won’t read is that the farmer who provides the Peabody ducks is also an excellent fisherman. I know that for a fact because I fished with him all week. Jeff traveled to Maryland with my brother Creig to attend the annual Public Interest Leadership Development conference in Washington DC. There was a lot going on in DC this week including the Cherry Blossom festival and some intensely political budget negotiations, yet they still managed to get in a lot of time with their senators and representatives where they stressed the importance of agriculture extension services to rural farmers. Before and after their meetings, we went fishing. I took most of the week off so we could get in as much time on the water as possible. 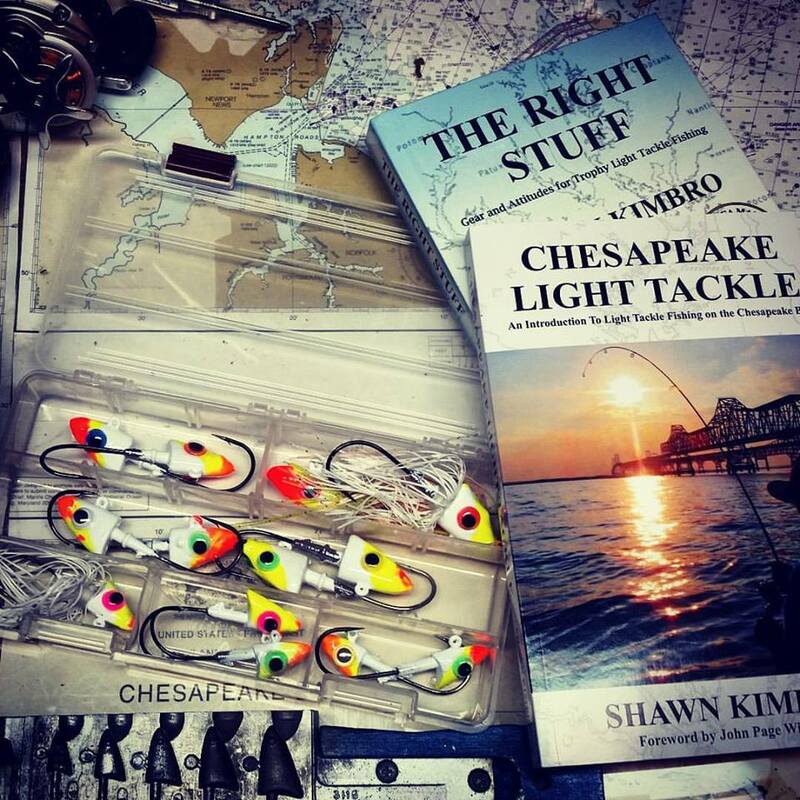 We chased gannets over breaking stripers in gale force winds, jigged big lazy fish in the crowded warm water discharges, and threw shad darts for hickories in the Potomac River. In typical April fashion, the weather was crazy. One day temperatures soared into the 80s and the next day we only saw highs in the 40s. 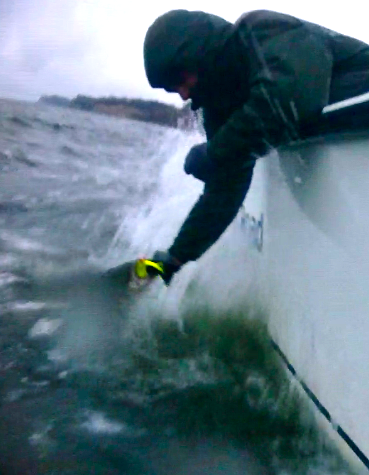 The sun shined, the wind blew, the rain poured, and luckily, the fish bit. Jeff the duck man lives in West Tennessee but he is originally from Florida. 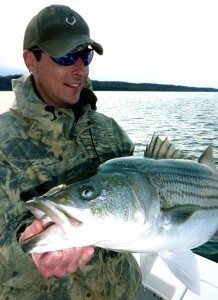 Although he’s done a lot of fishing for many different species, he had never caught a striped bass before. We fixed that. On his first day fishing the Chesapeake he caught-and-released a nice 37-inch rockfish on one of his favorite largemouth bass rods using a 7-inch soft plastic lure and a jig head he’d poured in my shop the night before. 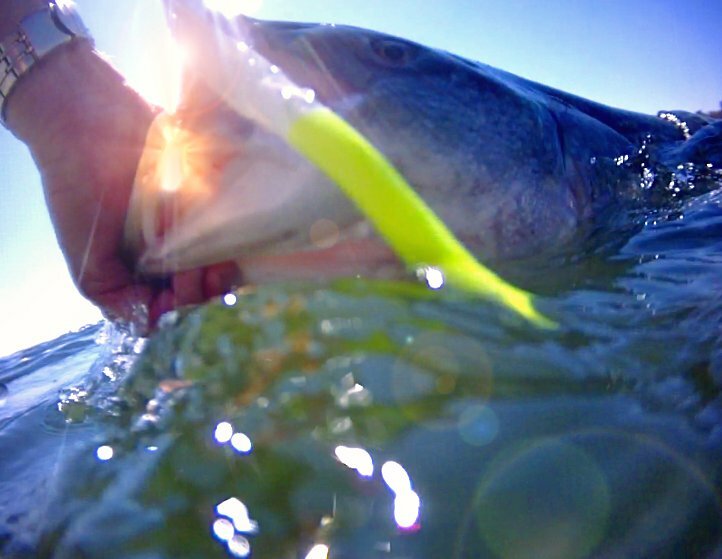 Creig turned up the best fish of the week under bluebird skies Wednesday afternoon when he slammed into one of the widest 47-inch stripers I’ve ever seen. Our Potomac River trip took us up above the District of Columbia to Fletcher’s Landing where we rented a flat-bottom wooden boat and paddled out beside the channel to cast shad darts. 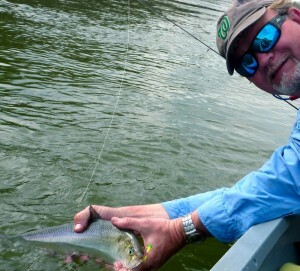 I’ve seen better shad fishing, but we landed our share including a couple dozen hickories and one American shad. A spring trip to Fletcher’s is a much-anticipated annual tradition for me. Here’s my video from last year. I hope to do a 2011 version as well, but I want to get in a few more trips first. Here’s a few photos that show the range of conditions we found throughout the week. I’ve started experimenting a little with an underwater camera so I’ve included a few of those shots as well. Fishing in the main stem of the Bay is tough right now. Finding feeding fish concentrated under birds is nearly impossible. I think that’s largely due to the lack of bait in the Bay this spring. 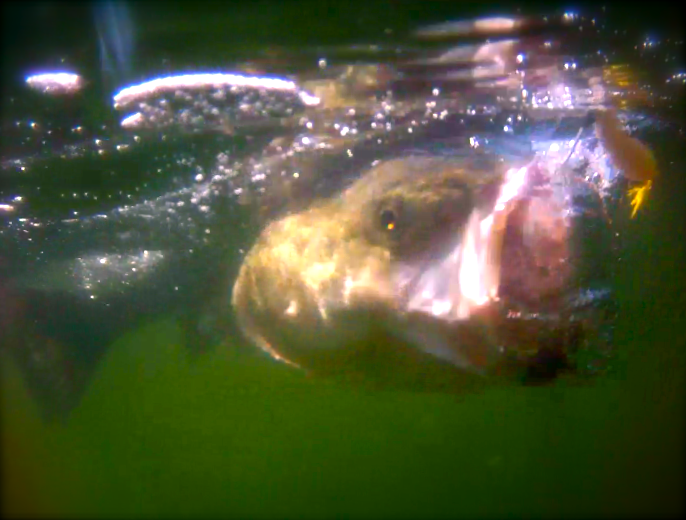 While some are reading warm water discharge reports and predicting a banner trophy season, I’m not counting on it. The bait just isn’t here. The discharges are producing because they are the few places fish can go to feed. Fishermen are also flocking to them because that’s the only game in town. I don’t expect a lot of open-water success until we get a better handle on the over-fishing that is occurring with the menhaden population. Jeff flew back to Memphis tonight to care for his mallards, and Creig is well on his way to his home atop a bluff on the Cumberland Plateau, so I finally have a little time to sit down and reflect on our intense week of fishing. It was a lot of fun. 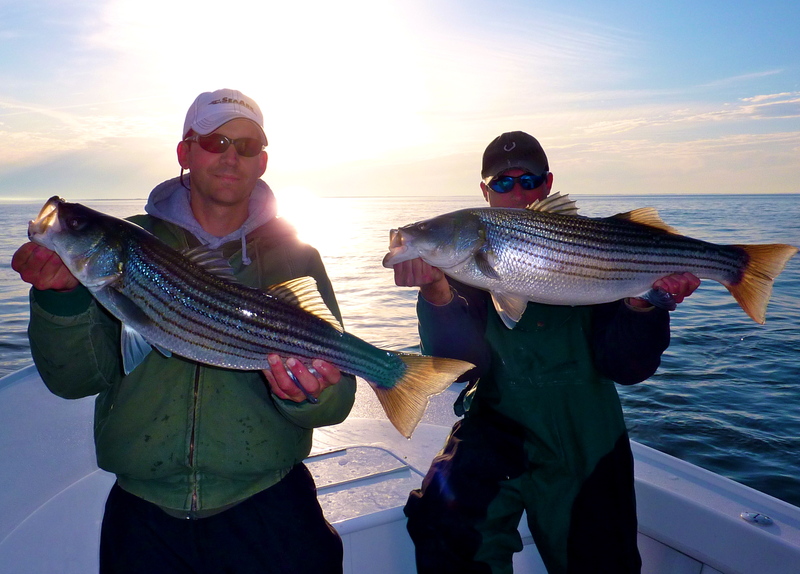 Since water temperatures remain in the mid-forties, rockfish are still holding deep. I don’t expect anything to change until we get a good long warming trend. When temperatures on the surface get warmer than those down deep, some new fishing areas will open up. Until then, we’re in a holding pattern. Fortunately, there is still plenty of action to be found in our area. I don’t expect to be staying in the Peabody Hotel any time soon, but after all the big fish we caught this week, I still feel like a lucky duck! Shawn thank you so much for the great trip. I caught my all time best striper and shad, wait any of these two fish would be an all time best. Kidding aside, I had a blast!!!! We made it to Creig’s about midnight and now I am packing to head home. Take cake and thanks again. O, the Sports Illustrated Swimsuit Issue……. I have some questions about the Peabody Ducks and understand you are the man to ask! 1. Do you keep ALL of the ducks when they are retired or do they actually fly away? 2. Do you feel that since they are so used to people/getting a steady supply of food and not having to work to find it that they are at all compromised when (and if) they are returned to the wild? 3. Any other info on their fate we would love to hear! thank you! We switch the ducks out every three months.I get them back and keep them for about a year. After this, and once thier wings have grown back-we clip them before they go to the Peabody-then I find a farm with a lake and turn them loose. We have a farm we have used for a long time and the owner puts out corn for them everyday. Good question, I guess to address this, I need to tell you we have a fly pen for them when they are not at the Peabody. We try to address your question by not holding them or interacting with them other than feeding and watering them. So, they are for the most part wild. Some and most stay on the farm we retire them to and continue to eat the corn provided while others fly off but I am sure they know where they can come back to? I have only been in this business for a few years, still learning as I go. Also, we have a good supply of ducks and with only a three month stent at the Peabody where they do as I-not holding, naming, etc-only thier routine then coming back to my farm, I feel they revert back somewhat? We, like most farmers make sure they are well taken care of during and after their work. I hope I have answered your questions. It is different, in that I grew up raising cattle. I do enjoy the work!!! Let me know if I can assist you further. I enjoyed watching your photography skills in action in that nasty weather on Friday. It was a pleasure being 1 of 2 boats out there with you. 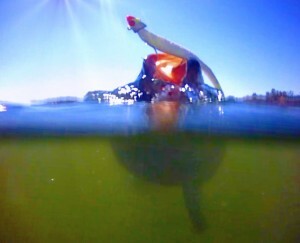 Looking forward to warmer water temps soon. Thanks for a wonderful week, for assisting me get my pb rockfish, and for giving Jeff and I both a great time on and off the water! Appreciate you showing Jeff the ropes even though he is a “gater native.” We both enjoyed it and unfortunately have to go back to work today. Looking forward to seeing you again soon. Can you fish in that hotel fountain?